Molly Bergmann (left) listened at a forum on the environment sponsored by the League of Women Voters of Lexington. LEXINGTON — Debbie Packard was part of a crowd of 60 people packed into Cary Memorial Library on a recent Friday morning to hear about efforts to promote green energy within the town’s borders. But national politics were foremost on the mind of Packard, who said she attended the League of Women Voters forum because of the White House’s newest occupant. “I’ll tell you one of my reasons: It’s because Trump has been elected,” the retired teacher said. Packard opposes the Dakota Access pipeline project to connect oil fields in North Dakota to a terminal in Illinois. Former president Barack Obama blocked a stretch of the project near the Standing Rock Indian Reservation, but Trump has allowed construction to resume. “I’m just trying to find a way to get involved and counter what’s he’s trying to do,” Packard said. Trump has dismissed global warming and called for deep cuts to federal environmental protection, but he may have inadvertently jump-started interest in local political activism — from green energy to get-out-the-vote campaigns. 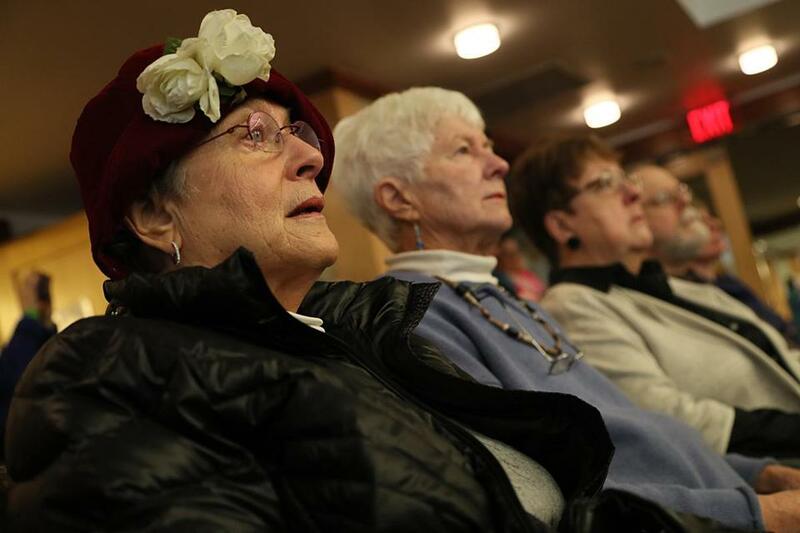 Membership in the League of Women Voters of Massachusetts has grown by more than 180 since the Nov. 8 election, said Jean Cherdack, the group’s president, to about 2,600 statewide. The nonpartisan organization, which operates in every state and the nation’s capital, grew from the national effort to extend voting rights to women in 1920. It has been open to men since the 1970s. The league encourages voter participation at all levels of government, including candidates nights, debates, and in the case of the Lexington forum, a discussion of environmental issues. “They want to get more people registered to vote, they want to get more politically active, they want to know how to run for political office,” Cherdack said.